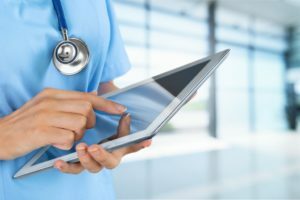 Many electronic medical records have the ability to copy and paste data, assessments, and multiple types of information. This feature was designed to allow for more efficient documentation. However, this feature has created many issues. The “copier”, by the very act of copying and pasting has taken the previous documentation as his own. If he was not the original author, this raises issues of plagiarism and authenticity of the documentation. The “copier” has the duty to assure that the copied information is true and accurate. Very frequently, providers do NOT check the previous documentation closely and incorrect information continues to proliferate the chart. For example, the original physician author in his history and physical mistakenly checked the box for diabetes when the patient did not have diabetes. The subsequent providers simply copied and pasted the past medical history into their notes; even though they did NOT review the past medical history. This caused two issues. First, the patient was noted to have a serious medical condition which he did not have. Second, if the physician billed a higher charge because a complete history and physical appeared to be completed but really wasn’t (upcoding), he just committed Medicare fraud. Every electronic medical record is REQUIRED to create an audit trail to remain HIPAA compliant. The audit trail shows, among other things, which function was performed by the person accessing the medical record. It is the audit trail that can be the “smoking gun” in cases where fraud by copying and pasting is suspected. Please see the article, “EHR copy, paste could land you in hot water” to see how this feature caused a $3.3 million penalty to be assessed.